« Poetic Justice for all! It’s been raining in Wanaka for two days, so we’re guessing everybody’s been doing quite bit of writing. Good timing, because two months have gone by we’re due another Poetic Justice Open Mic session next week. The theme is WORDS & ART. Got anything visual to share? Bring it along! But, as usual, we’re a fairly relaxed lot, so feel free to ignore the theme and read anything you’d like. Best poem as voted by the audience wins a stylish prize from Wanaka Beerworks. 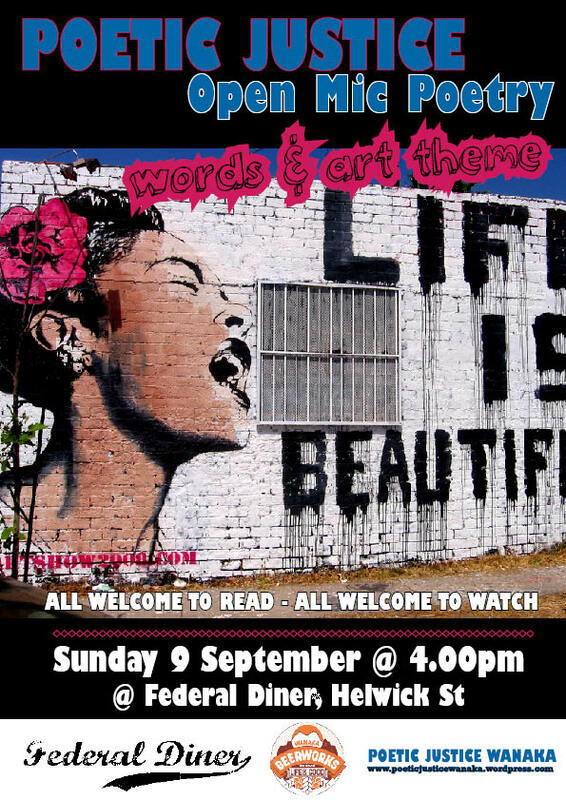 Poetic Justice Open Mic Poerty, 9 September 2012, Wanaka — Live Poetry!